Finish off your country outfit with a hugely popular polo belt from superior brand, pampeano. The elegant new pampeano Tornado polo belt is navy, white and grey and has been added to their latest collection. Combining culture, fashion and fine workmanship, a pampeano polo belt is a truly unique and beautiful accessory for every man and women. 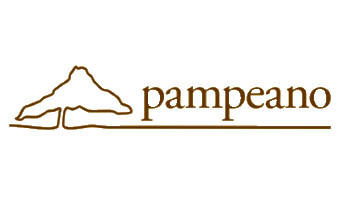 pampeano is a word taken from the town of La Pampa, Argentina, a place where the cattle roam freely across beautiful estancias, and the birthplace of their business. Each colour combination reflects the Argentine land, culture or people in one way or another. View all Pampeano products >> pampeano Polo Belts are the must have accessory to complete an array of outfits, whether it be casual wear, smart, evening, uniform or equestrian.